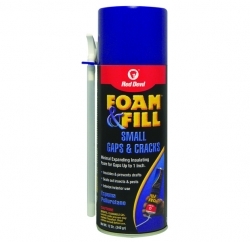 Foam & Fill® Small Gaps & Cracks Polyurethane Sealant is quick and easy to use. It expands to fill holes, cracks, gaps and voids around windows, doors, pipes, outlets, vents and foundations. 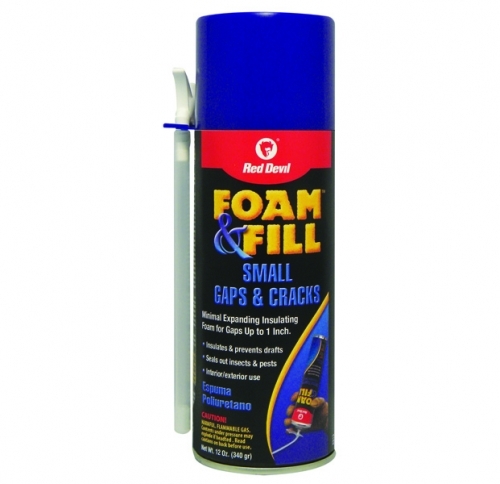 This insulating foam forms an airtight, waterproof bond and seals out drafts, moisture and pests. Cured foam can be sanded, painted or stained. Contains no HCFCs or CFCs so it is safe for the environment.